A dagger is a short pointed weapon with sharp edges that torments or wounds. It is a special stabbing weapon often with an ornamented sheath. It is a form of knife, where the tang is placed along the center line of the blade. It is known for remarkable metal work. 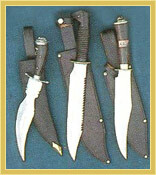 Every culture has some type of dagger as a basic personal protection. 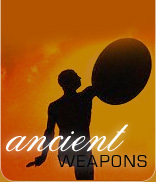 It was not just a battle tool but specified the warrior status. Ancient daggers can be double edged or single. They were the genesis of the genius of the metal and metallurgy craft. A common long dagger was called a poignard (poniard), or "pugnale" . It was carried along with a sword or rapier as a backup weapon. The dagger was lightweight, deadly, and elegant, used as a defensive weapon. A dagger had a knife-like blade. Using dagger was an art initself. In the middle ages it was used point down, pommel up.